Heres a commission piece i’m working on at the moment of Taekwondo superstar Kelley Irving who represented the IOM in Denmark last year. The caricature is to celebrate her passing her black belt which her instructor says she is more than ready to take so fingers crossed. Will post the finished caricature when its finished. What is it with the weather in this country. Last week we had 2 days of sunshine, the first since the blizzards and icy winds hit in October last year, now its gone back to freezing again. 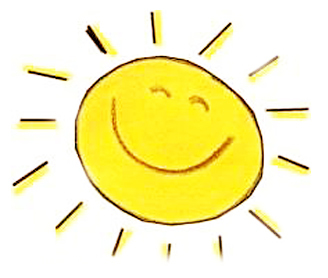 Weather forecasters have said its going to be a scorcher of a summer. yeah right!… said that last year. Just watched the much hyped UK election debate on ITV1 where we get to see the leaders of the 3 main political parties in the same tv studio for the first time ever debate and argue why we should vote for them this coming May. Well, it was thrilling television…. i fell asleep. Think i’ll vote for the Monster Raving Loony Party this year if its still running. 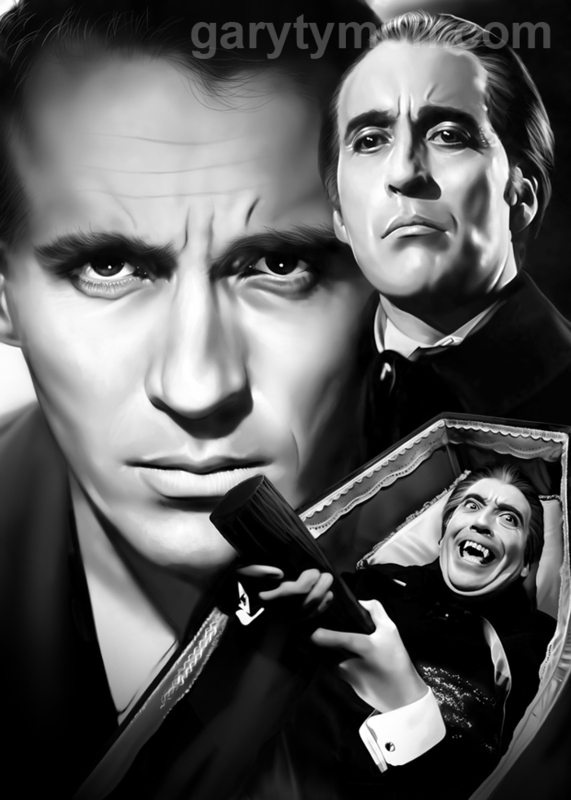 Working on some more black and white film star portraits at the moment, finishing off my horror collection with a Peter Cushing (as Van Helsing and Dr. Terror), Christopher Lee as Dracula, Vincent Price as Dr. Phibes and finally Ingrid Pitt as Countess Dracula. I think that covers the really famous actors and actresses from the 20’s – 70’s to go with Bela Lugosi, Boris Karloff, and Lon Chaney Snr. & Jnr. 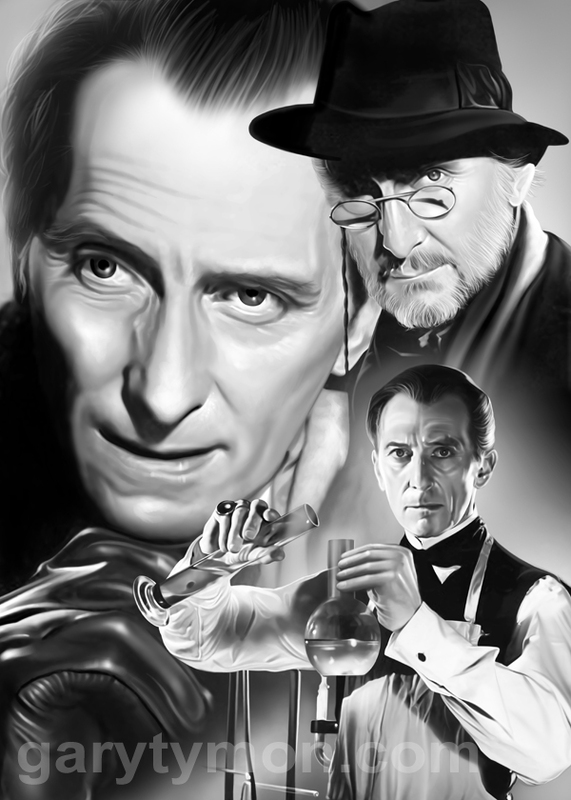 About halfway through the Peter Cushing artwork so will post when its available to buy. Also, if your into comics… you may have heard that a few weeks ago Action Comics #1 went under the hammer in the US and achieved a record shattering sale of $1 million dollars!!!!! 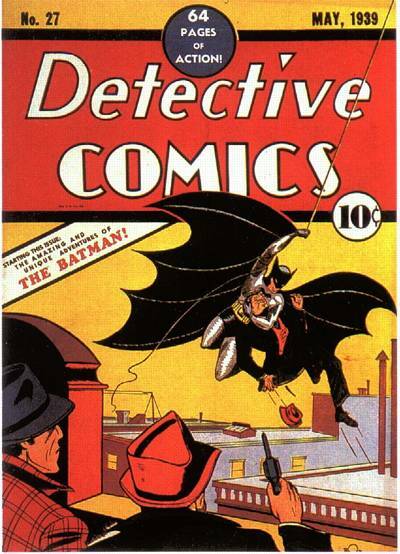 (which for all of you who are into comics knows its the first appearance of Superman) – well….. just days after that a private collector has purchased a copy of Detective Comics #27 featuring the first appearance of ‘Batman’ for…. wait for it….. $1,075,500 at a Dallas auction. RIDICULOUS!!! Wonder what my Secret Wars collection is worth now. 31 UK issues all mint condition complete with transfers and little plastic free toy thingies. Think i might go on Dickensons Real Deal and take a chance!! !